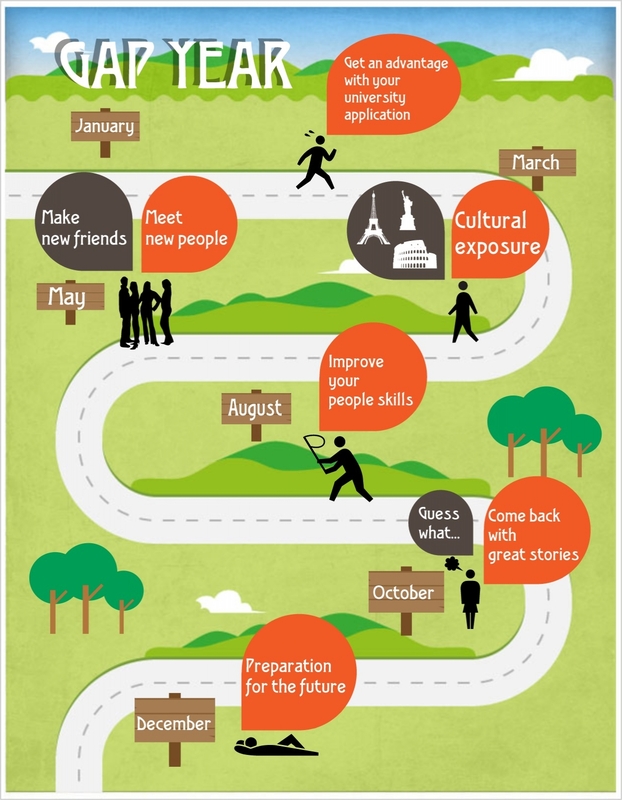 Home » Beyond Academics » 11 Reasons why taking a break from college is a good idea? Off lately, there has been a steady rise in the number of students opting for a study break before enrolling into a college program. Today however taking a break has no stigma attached to it. Gone are the days when taking breaks was considered a “slacker’s thing to do!” or was “looked down upon!” It has now become an emerging trend with more and more students opting to take time off from the usual college lifestyle. After spending a considerable amount of time en route to the “highway of intellectual growth”, a monotony sets into your life. This combined with entrance exams, recommendation letters, college projects, late nights before exams and months of sleep deprivation in college students are enough reasons to contemplate taking a break from college. After spending four consecutive years in college for graduating, the mental load can be quite taxing. Nevertheless, there are other reasons why taking a break from college is a good idea? If you are wondering whether taking a break is a good idea then here are some popular reasons that students opt for and ones that will help you to arrive at a decision. After spending 16 years as a student and there after in conducting an exhaustive college search, completing your college applications and going through a rigorous admission process can be mind boggling. Sometimes taking a break can relax your mind and relieve stress. For some students a break from the college grind gives them enough time to refresh instead of continuing with further studies because their performance may drop. Hence a break to some is necessary to improve their performance. Taking time off will enable you to approach the next phase of your education with a fresh start and renewed vigor while staving off academic burnout. Many students find the college selection process to be an arduous experience. Maybe you weren’t accepted into the college of your choice. In such a case you can use your gap year to continue your college search for the right school, while taking classes or engaging in other activities to strengthen your college application. You can reapply to colleges and universities the following year or when the new academic year begins. If you have no idea about which major to pursue, then opting for a break is just what you need to clear your mind and think clearly. By engaging into activities that are of interest to you, en route you just might stumble up on a career choice of your interest. And make that a career path to follow thus achieve satisfaction in the work your do. Well travelling could be for you. If you think a history major is for you travel to different historical places, visit a museum or even assist at one. If you harbor an interest in foreign languages, visit places and learn about different cultures and traditions. And what better way to learn the language then learning about cultures, traditions and conversing in the native language with the locals. Nonetheless, it will broaden your perspective on life and teach you life’s lessons. The experiences you have can give you insights into yourself and discover things you didn’t know about yourself either, for instance your hidden potentials. Sometimes the best way to build your confidence is by being by yourself. Treat the gap year as a transition from childhood to adulthood. When you are on your own you learn and discover things about yourself that you didn’t know. With experience your maturity increases and you learn to look at things in a different way and with a newly formed perspective. These are lessons worth learning, if I might say so. 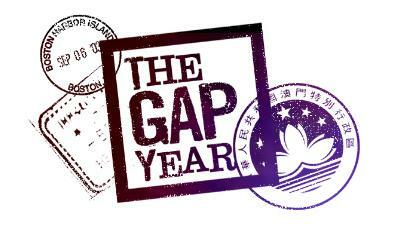 A gap year can be the start to your career. Perhaps there are internships available in one or more of the careers you are considering. Or you could earn extra money to help pay for your upcoming college costs. Any which way, you’ll be adding valuable skills and experiences to your résumé, which will give you an upper hand over your competitors when you enter the work force after earning your college degree. To most students entering a work force comes to a shock, when they’ve spent years in an educational background. Learning about what’s out there, paying bills and forging your way outside of school will give you an advantage over other college graduates. Spending a gap year as a volunteer at an N.G.O., Orphanage or at a Community Center can give you a sense of satisfaction filled with accomplishment and fulfillment. You come out more confident, stronger and learn about life as we know it! Always playing it safe doesn’t teach you much nor does it increase your maturity. You learn to go with the flow as against learning how to live. Taking a risk teaches you about life and helps you realise your potentials that were hidden for so long. Obtaining an internship in the area you’re interested in studying or in the career field you’d like to pursue, is an effective way of learning more about that industry. This will help you bring practical, real-world experience into your college education and you can get some career contacts to contact after you graduate. So are you convinced about whether taking a break from college is a good idea for you? 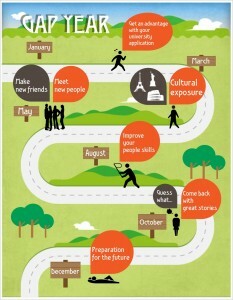 If so then you can visit www.careerfutura.com for some inspiring gap year ideas and lots more. Nice thought, but the problem is if you take your break to relax your mind then there are companies which consider such gaps as negative point in your career path. I have personally gone through such instances as I took a gap of a year before entering into college life. Although that may be the case; it differs from company to company. You need to turn it around and use what you have done during the gap in a positive way.